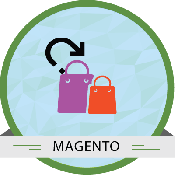 Expand your business by switching your existing Magento store as a multiple seller Magento marketplace. 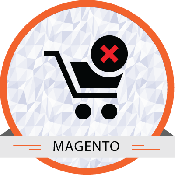 Magento 1.7 x, 1.8.x & 1.9.x. 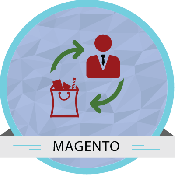 Convert your existing Magento site into Multiple Seller Marketplace. 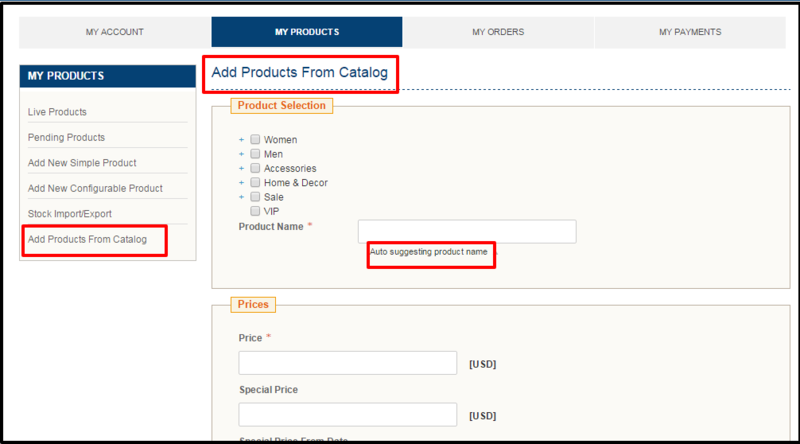 Allow multiple sellers to register and sell their products. 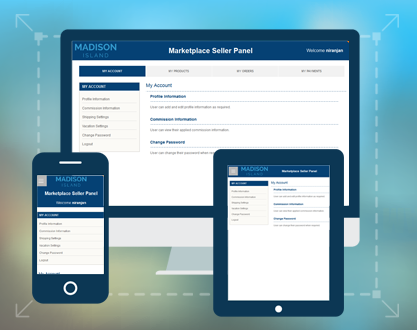 Allows Seller to manage products, invoice, and shipment in responsive seller dashboard. Allows admin to set commissions for each Sellers, Products, Category, Customer Group, and Product Type. Allows Seller to manage simple and configurable product types. The sellers can upload the products along with multiple images via the CSV file upload. Eases the seller's task of uploading large inventory via CSV upload. Allows customers to give review only if they have purchased a product from that seller. Admin can review and allow the review to be displayed. 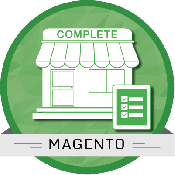 The Magento marketplace multi-vendor extension is an interactive platform for vendors and sellers to understand products and make the best use of each other. 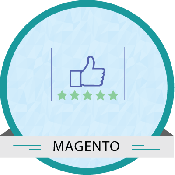 This Magento marketplace allows showcasing of different products for customers to contact suitable sellers. All this is done through a profile which is maintained with a detailed description of the listed products. This dashboard includes information like pricing, shipment details and other information which can be obtained on request. 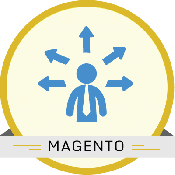 This Magento extension allows multiple sellers to register their profile and effectively reach out potential customers. Ability to view, approve, disapprove, update and delete a seller requested product. Set commissions for each seller, products, product type, customer group, and category. 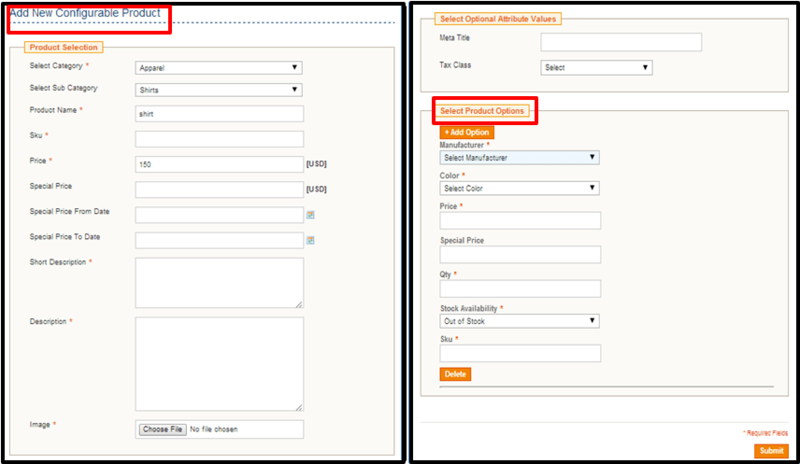 Generate Purchase Order and notify seller once the order is placed by customer. Ability to handle simple products, configurable products. Configure vendor public profile view. Allow different vendors to register and sell their products. Ability to add, approve and disapprove sellers in one place. Ability to set a global tax of the commission for sellers. Approval Process. Interface to manage profile, inventory, product details, view commission, payment transactions and etc. Ability to view the history of their payment. Option to update products stock using CSV import and export option. Option to see the seller's profile. 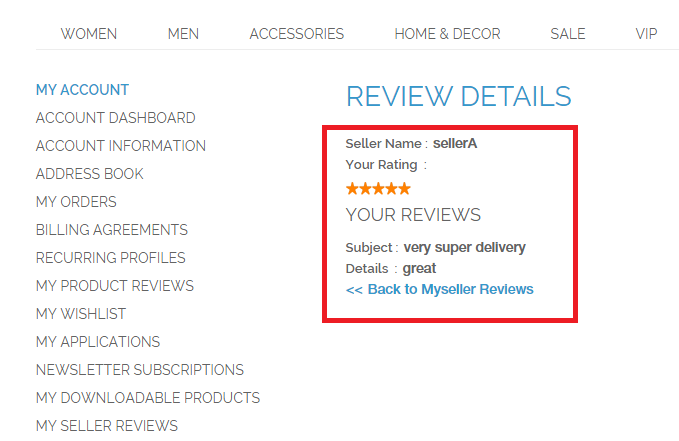 Allows customers to give review only if they have purchased product from that seller. 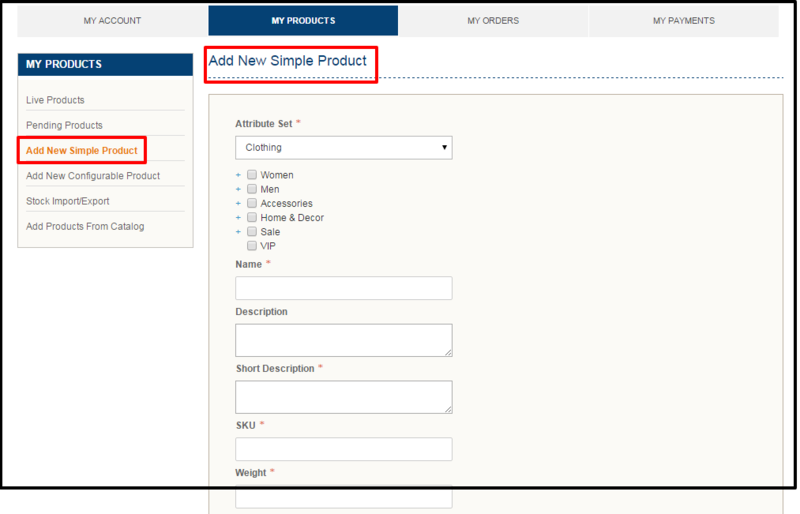 Sellers can add both simple and configurable products in bulk via CSV file upload. The sellers have to choose the attribute set and add products with different SKU and product images, once they upload the CSV file, the products will be added and will wait for Admin's approval. Once admin verifies the product list uploaded, the products will be displayed in the site as well as seller's dashboard. Control the Seller and Seller Updates as the store owner. Approve/Disapprove sellers from joining the Marketplace. Accept/Reject their Products to your Marketplace. Also, Manage Seller’s Ratings and their Configurable Product options. As a store owner, choose what you wish to Control. At one click, update settings for default seller registration approvals, product request approvals and vacation Mode Features. 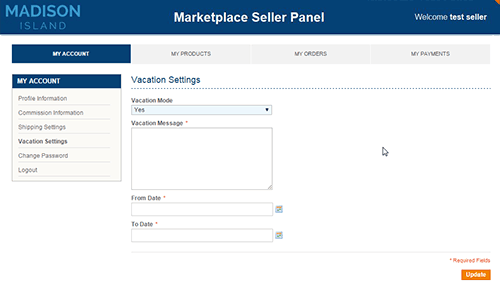 Sellers can choose, for a specific timeline, to be in Vacation mode where they will not be listed for any product under their belt. Immediate rollback happens after the timeline elapses. Of course, the admin will be alerted to such a move. The extension will allow the customer to give reviews only if they have purchased a product from that seller. 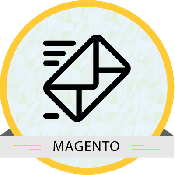 Admin can enable setting if they wish to approve the review and then it gets posted in frontend or it gets posted as and when the customer posts review. Admin can control the settings in backend. An email will be received by the customer, seller and admin on the reviews posted. The seller can see his review on his dashboard itself. simply the best on the market!! Another Really Good Product from Modulebazaar.Well done Team.And also supportive and friendly people to work with. I had few clarifications and i needed a help ,then the team was so supportive . Amazing customer support they provide! I suggested my client for this marketplace extension and they are very much happy with it ! Modulebazaar Team was very helpful in installation .Thank you ! Click the “Choose File” option and select the package from your computer (Modulebazaar_Marketplace_base_pack_v1.0.tgz) then click on the “Upload” option. After successful upload, click Refresh or Check for Upgrades. 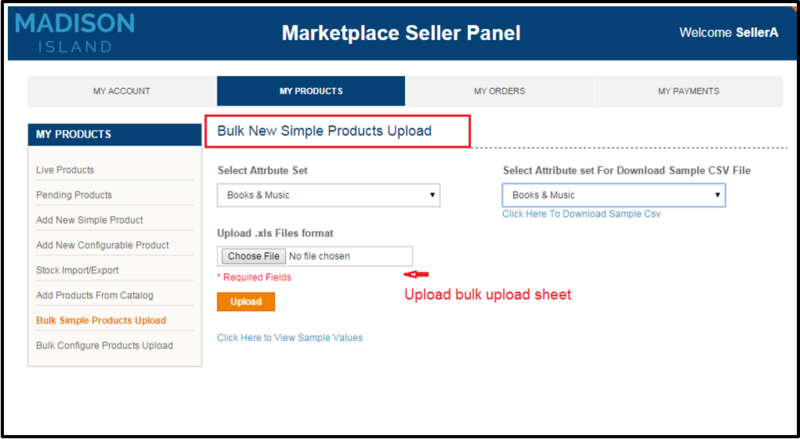 Click the “Choose File” option and select the package from your computer (modulebazaar_seller_bulk_upload_v1.0) then click on the “Upload” option. Unzip Modulebazaar_sellerrating.zip file and you can find modulebazaar_sellerrating_v1.0.tgz and Seller_Panel_Review_Tab_Code.docx. Click the “Choose File” option and select the package from your computer (modulebazaar_sellerrating_v1.0.tgz) then click on the “Upload” option. Then logout from the admin panel and login again to check whether it works properly. 1. Does the admin need to approve a seller who wants to sell a product on the site? Yes, also the admin is given a configuring option to approve a seller. If the option is configured as NO, the admin’s approval is not required for a seller to sell products on the site. To approve or disapprove a seller, Go to >> Modulebazaar >> Marketplace >>Manage Sellers, then select a seller and select approve/disapprove from Actions dropdown. 2. Does the admin need to approve the product added by a seller that is already present in the catalog? 3. How the commission is set and configured? 4. Can the order made in the store be found in the order management? 5. Where can the admin find the commission amount and the order amount? 6. 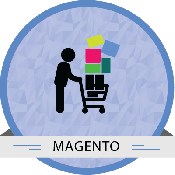 Is there any way to assign products to a seller from the product tab in the Magento Backend? 7. Is there any interface for the seller to manage his/her products, orders, etc.? Yes, a separate seller portal is available for sellers to manage their products, orders, payments and also their account information. The seller portal is accessible by the seller only after the admin’s approval. 8. If an order consists of different products from different sellers, how the order will be generated? Separate purchase order will be created for each seller included in that order. 9. What type of products can be managed in this Marketplace? The admin can manage both the simple products and the configurable products. 10. How the seller can edit his product details after the product has been approved by the admin? Seller can edit the details of his product on Seller Panel. Updated product will be sent to Admin Approval. Once Admin approves ,the change will reflect in Front end. 11. Can Admin edit the product details of any seller? Yes, Admin can edit the product details of any seller before product approval. 12. Stock import/export option under seller panel - allows only stock update of existing products? What about new product upload? 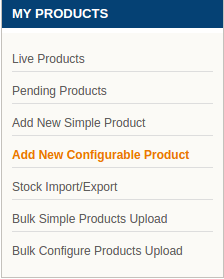 For Existing product stock upload you can use Stock Import/ Export Option. 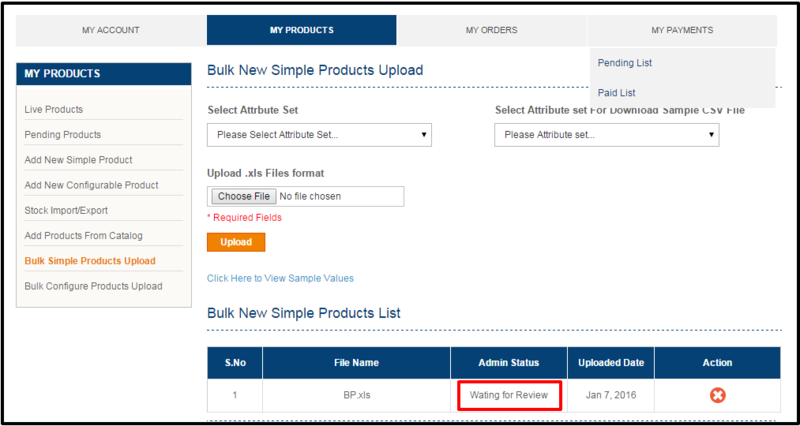 For new product upload, you have to use Bulk Import/ Export Option. 13. Explain 'Add from Catalog' for the seller? If a same product is being sold by more than one seller, be it Simple / Configurable products. The extension allows the sellers to add those products to their catalog without a need to create a new product via their respective seller’s profile. Thus ‘ Add From Catalog’ allows the sellers to add simple / configurable products to their profile and thus sell at competitive price. 14. Do you have provision for the customer to view details of the seller or the products sold by the seller? Yes, each and every customer can see the seller's profile and list of products of that specific seller by clicking on "Seller Profile”. The option is given on the Footer of the Home Page, and in each product detail page. 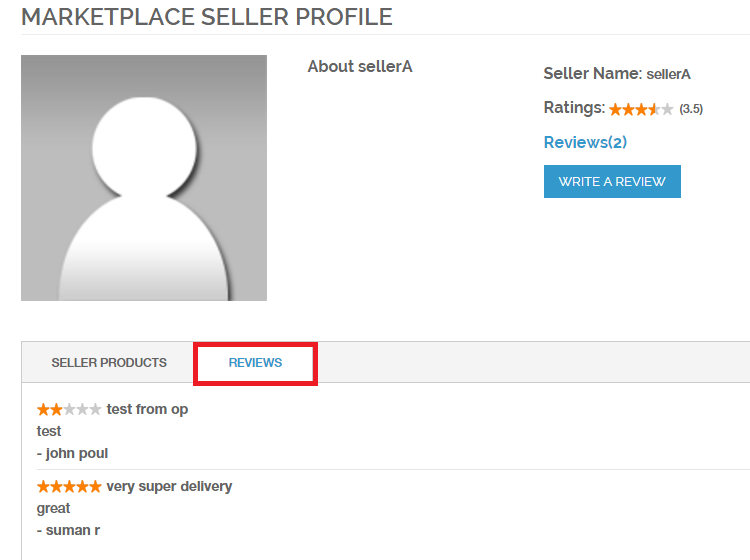 Seller Profile contains the list of seller a brief description about them, the rating and review of the Seller and the list of products sold by them.